Stickler Chocolates is a local chocolatier in Halifax NS and a part of the growing local food scene. 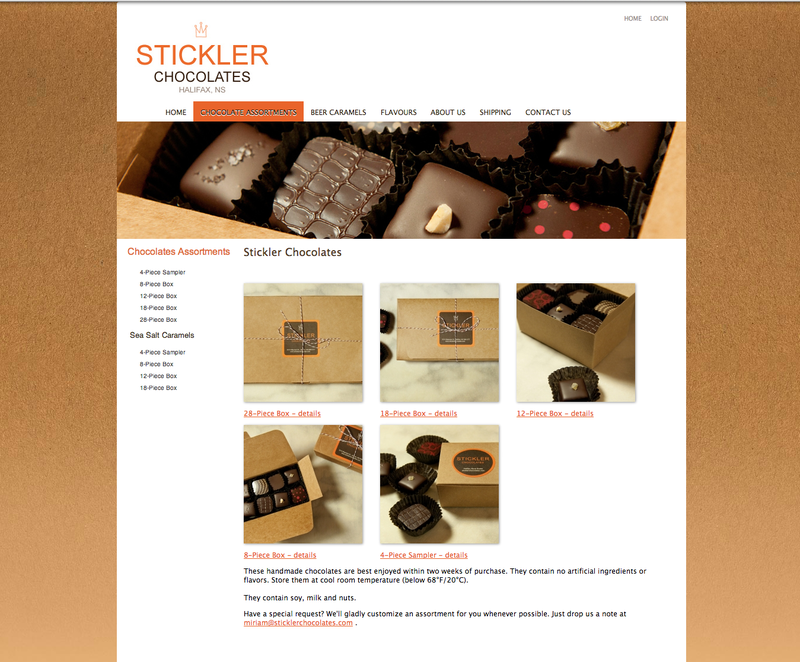 Stickler Chocolates needed a website to allow its customers to ba able to order products online. We built a ecommerce store for them which allows the client to post new products, accept and track orders online.